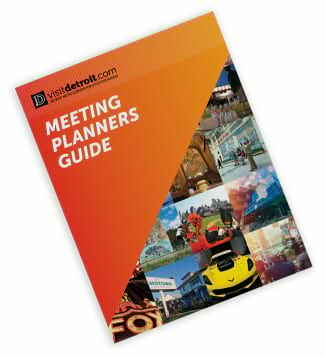 The Detroit Metro Convention & Visitors Bureau is a private, not-for-profit organization whose mission is to market and sell the metropolitan Detroit area on a worldwide basis as a destination for leisure and business travel including conventions, trade shows, corporate meetings, tours and incentive travel. We flawlessly hosted a string of marquee events over the past several years and we’d be proud to include your meeting in the list of conventions and conferences that chose metro Detroit for its value, easy access, hospitality excellence and professional support. The DMCVB sales team has landed several conferences and events that have chosen metro Detroit to host their next meeting. Contact your national sales manager for more information. Or e-mail us at cvsales@visitdetroit.com or call us at 888-CALL-DTW (225-5389). Download the Who Has Booked In The D pdf.